James Lin, owner of Car Toyz, started working on cars in his mother’s garage in Atlantic City in 1990. His passion back when Lin started gold plating became his career when Car Toyz was welcomed into Atlantic County. Opening its doors in 1993, Car Toyz has over 25 years of experience in the automotive industry. 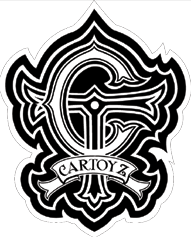 In 2014, Car Toyz Auto Brokers was founded and is the only car customizing shop that offers customization ranging from sales, service, and build. James Lin takes pride in recruiting the top staff around providing education and experience to every project Car Toyz completes. Car Toyz is your premier shop for car accessories, customizing, cosmetic, mechanical, and restyling needs. Car Toyz is continuing to be versatile in the changing environments that affect all local businesses. They are taking on bigger tasks and never saying “no” to a job that comes to the shop. Car Toyz offers everything you want for your car with an array of car accessories, stereos, speakers, remote starters, Bluetooth, radar, spray in bed liners, lift kits, tires and rims packages, tint, graphic designs, and vehicle wraps. Car Toyz offers full detailing services, paint repair, and ceramic pro. All mechanical needs including towing and transportation of vehicles can be done by Car Toyz. Along with car maintenance and additions, Car Toyz Autobrokers will help you find the car that meets all your needs. What Car Toyz offers cannot be ordered online which sets Car Toyz apart from their competition. Car Toyz specializes in customizing cars with the highest imagination- alter what needs to be done and MacGuyver what can’t be done. New advancements in technology have played a huge role in how Car Toyz conducts business. From the services being installed ranging from Bluetooth to laptops and TV’s in vehicles to the customer experience Car Toyz provides. Customers can benefit from visiting Car Toyz website (https://distinctivecartoyz.com/) or by following them on social media (Facebook and Instagram) to keep up with their day to day operation and finished custom jobs. Staying local to his hometown, James Lin took a leap when his current Pleasantville location became available. Car Toyz gives back to the local community throughout the year, donating to local law enforcement agencies, PAL clubs, and team sports. Car Toyz biggest event is their one day Black Friday sale where customers start lining up outside their shop at 5 a.m.
Customers select Car Toyz over their competition based on their lifetime warranty on every project, the personal shuttle service, loaner cars, and making your new car experience stress-free! Next time you need work done to your car or in the market for a new vehicle stop by Car Toyz located at 1000 Noahs Road, Pleasantville, NJ, 08232 or give them a call at (609) 272-1777.